With the C2K Web Portal, you can get up-to-date status on orders, view documents 24/7, as well as pay & view invoices! Qualified In All 50 States & D.C.
C2K offers nationwide registered agent services! Nationwide UCC Monitoring, Filing & Management. When you need it done right the first time, we are here for you. At C2K, we provide the quickest turnaround on all orders. Keep track of all your entities: Registrations, Addresses, Officers and Directors, Stock, and more. 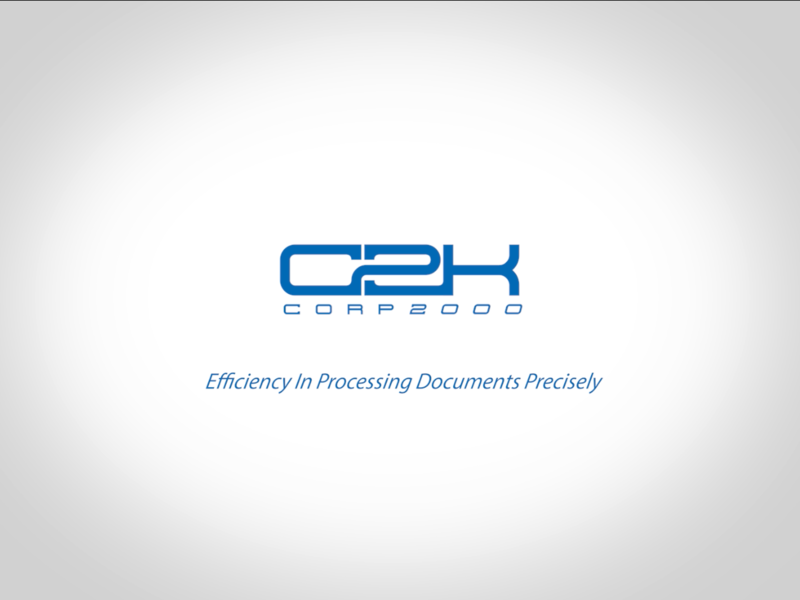 C2k Comply also alerts you when annual reports and taxes are due. We provide every client with meticulous attention to detail while delivering on time, every time. From fictitious name searches, to liens and good standing, Corp2000 is there to meet and exceed your expectations. Corp2000 provides the expertise you need to move you through the process as efficiently as possible. We assist in every manner to ensure your filings and documentations are 100% accurate and meet all federal, state, and local requirements. Corp2000 provides accurate and dependable services for homebuilders, escrow & title companies, and lenders. We offer nationwide UCC searches, filings, and monitoring as well as LLC business entity, and much more.